Do You Have a Loved One Suffering from Alzheimer’s? Many families try to deal with Alzheimer’s and dementia care challenges while keeping loved ones at home. These educational sessions will focus on practical techniques for home caregivers to improve quality of care for people with dementia, as well as reduce the stress on caregivers. The program series will consist of 12 sessions (1 hour each) using the science of cognitive ergonomics and neuroscience research to improve the quality of life for people with Alzheimer’s and dementia. 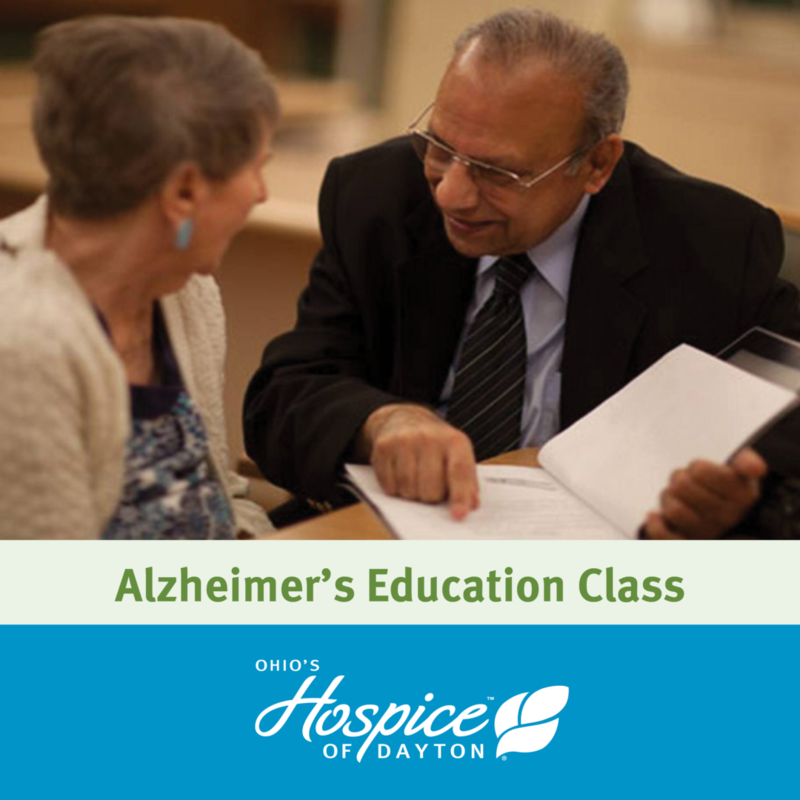 The sessions will take place at Hospice of Dayton and will be presented by Dr. Govind Bharwani, a nationally recognized expert in Alzheimer’s and dementia care. Dr. Bharwani’s work has received six national awards for its impact on reducing medications for agitation and challenging behaviors. Each session will be held the last Tuesday each month 6 – 7:30 p.m. Presented by Wright State University, Ohio’s Hospice of Dayton and the Greater Dayton Brain Health Foundation, this series offers education for caregivers of Alzheimer’s patients. No cost. Advance registration is required.